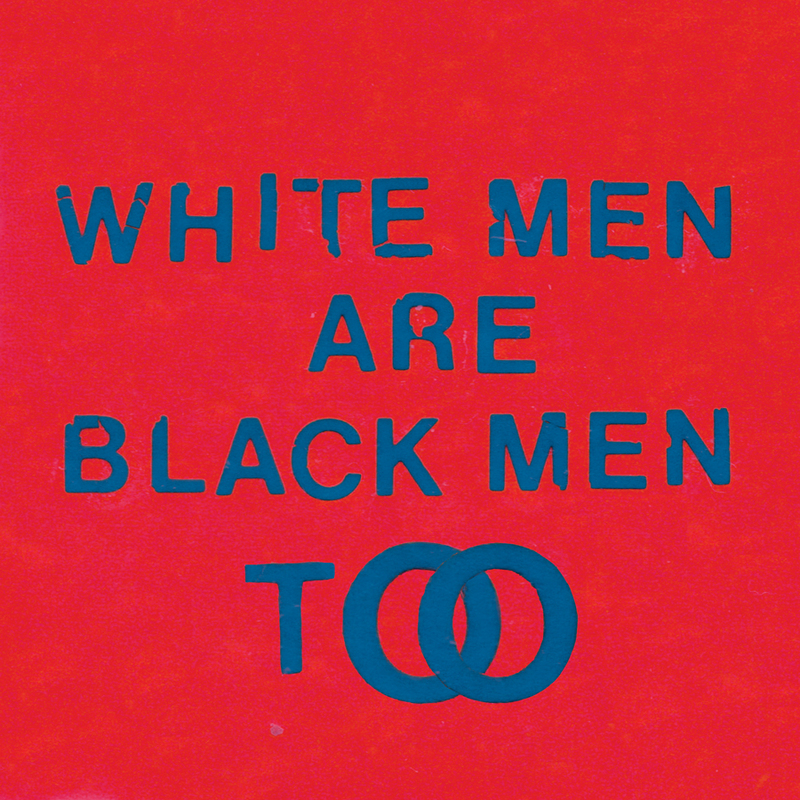 With White Men Are Black Men Too, Young Fathers have followed their polished and critically acclaimed debut album, Dead, by making a gritty, lo-fi, soul-pop album that contemplates societal ills and spirituality as much as it explores musically. Young Fathers have insisted that this is a pop album, and it is. It’s more melodic than their previous releases, but that doesn’t make the it any less uncompromising, uncomfortable, and unsettling. White Men Are Black Men Too is an exercise in propulsive, harsh instrumentation juxtaposed with soulful chorales and infectious call-and-response. Young Fathers sustain an urgency throughout the album, most indebted to its pulsing percussiveness: staccato organ stabs and clacking drums. It’s the moments of calm, however, like ‘Sirens’, ‘Get Started’, and ‘Nest’, that accentuate this urgency. ‘Dare Me’ plays with this calm-abrasive juxtaposition to great effect: tender crooning turns sinister, the legato “Dare Me” into a piercing “Fire!”, a thin organ into a dark, dense synth, and back again. They have no qualms about playing with song structure or convention either (several songs, including ‘Dare Me’, end abruptly), an enduring characteristic of their catalogue. The lo-fi quality, also characteristic of their early work, compresses the layered production and emphasizes the vocalist(s). It’d be fairly easy to make a mess of these raw materials, but the band members’ synergy keeps this musical variation dynamic rather than disjointed, consorted rather than cacophonous. They build songs like lead single ‘Rain or Shine’ into an encompassing barrage that mirrors the repetitive nature of a lot of pop music without sounding as contrived. There’s a consistent theme of spiritual reckoning throughout the album. It’s openly expressed in the lyrics, and a gospel influence provides a musical undercurrent when it’s not. There’s an interesting fixation on the ostensibly absent (“No Jesus in my life. No demons in my life.”) and the ways they come to light in moments of conflict that “violate the silence.” The problem is the band doesn’t come to any sort of resolution, settling to just chase an echo in every direction. And that may be its most endearing quality. Pop music, at its best, bares universal truths about the human experience. Young Fathers do so by questioning the validity of every precedent, politically, socially and sonically, until it becomes clear that the truth isn’t in an answer, it’s in the act of questioning.